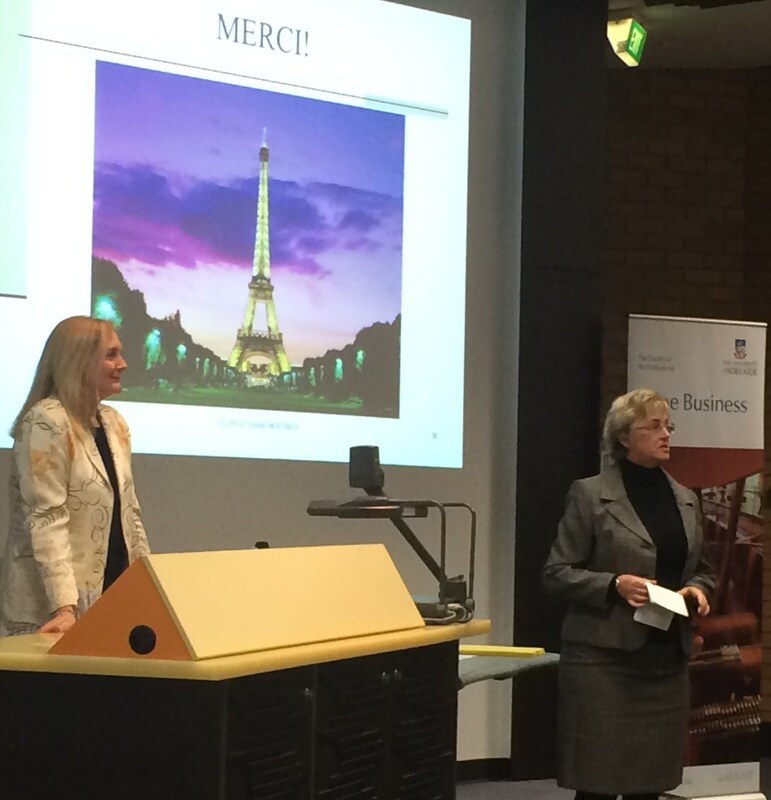 The Adelaide Business School was thrilled to host Dr Sylvie Hertrich of Ecole de Management, Strasbourg (University of Strasbourg) for a guest lecture on Luxury Branding. Dr Hertrich’s experience and insight into how international brands, including Audi, Hermes and Krug Champagne, position themselves through marketing strategies was invaluable. Many of our companies and even entire industries talk about “going upmarket”; being “premium”; selling into “high value niche markets”. We are thrilled to announce that the Adelaide Business School has been internationally recognised a leading provider of Accounting and Finance subjects by the QS World Ranking system. Click here for the full QS World Rankings of Accounting and Finance subjects. I invite you to join me for the Adelaide Business School Reception in Melbourne on Thursday 26th June 2014. It will provide an opportunity for you to network with your alma mater but also hear about the Business School’s new vision and new initiatives which we more than welcome your participation in moving forward. On Wednesday, 19 March the Faculty of the Professions had the privilege of hosting Paul Bloxham, Chief Economist for HSBC Australia & New Zealand. Speaking to a full lecture theatre of eager students (at 7.30 in the morning! ), Paul examined the future of Australia and where our next economic boom may come from.